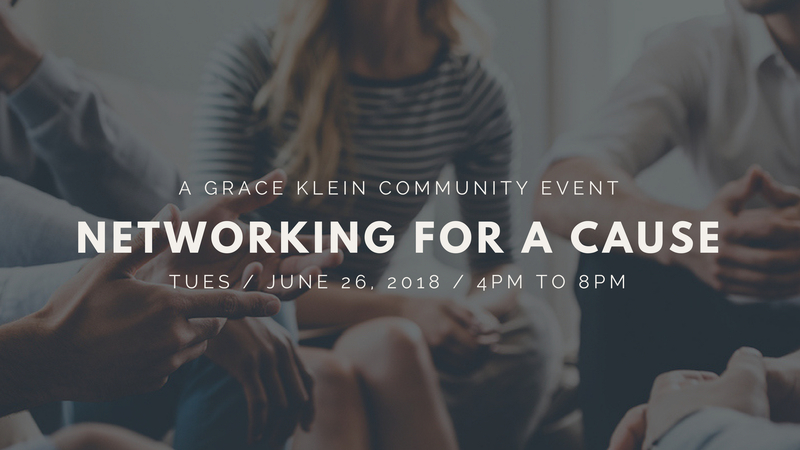 Some of you may wonder, “Do networking events really work?” And, “What’s in it for me, besides free door prizes, bidding on amazing silent auction items, hearing Birmingham’s upcoming new artists live, and visiting with the Grace Klein Community?!! Shannon Shriver, Sales Director with OneSouth Financial Group, in Birmingham, attended a Networking for A Cause event and met Torie Nix, Owner of The Rinehart Insurance Agency, in Columbiana. After the event they followed up and Torie ended up helping Shannon with his P/C coverage, and Shannon solved one of Torie’s financial goals. They realized that their clients could benefit from what they each offered separately. So, in April they formed a partnership and not only are their businesses thriving, but their clients are well insured and very happy. Another attendee, Allison Combs of Alabama Baptist Children’s Homes and Family Ministries met Chris and Janet Goins of A2 Church at the same event. After sharing their hearts, they also followed up with one another, after the event. A2 Church has a ladies gathering monthly, Lovely, and they invited Allison to share at their April event. How sweet is our Father?! Please join us for Networking for a Cause, Tuesday, June 26, 4-8 pm at Dreamland BBQ on 280. You never know who you are going to meet and how God will use this event to grow your business or ministry.